Hello, Gorgeous! : playing outfit catch up & a late Halloween. Sometimes I get in certain outfit moods. I wear similar looks over and over again and don't tire of them. 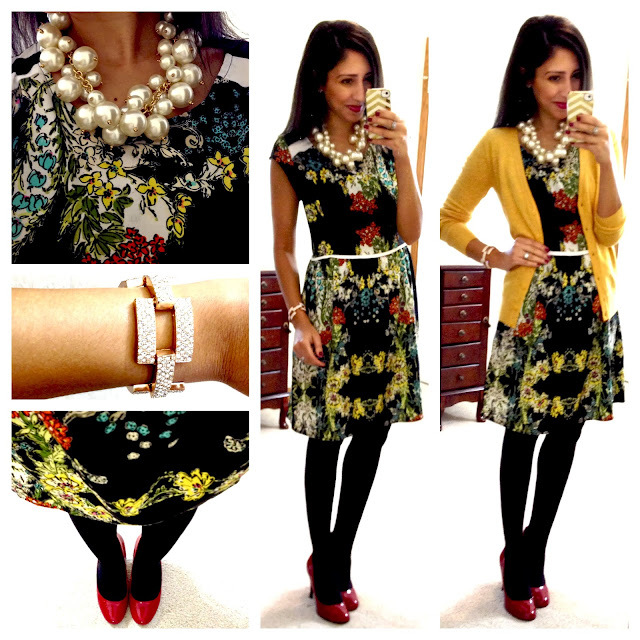 Last week, for instance, I was all about dresses. I just couldn't get enough of them! On a completely unrelated note, I kept meaning to share my Halloween outfit from last week, but other things kept getting in the way. 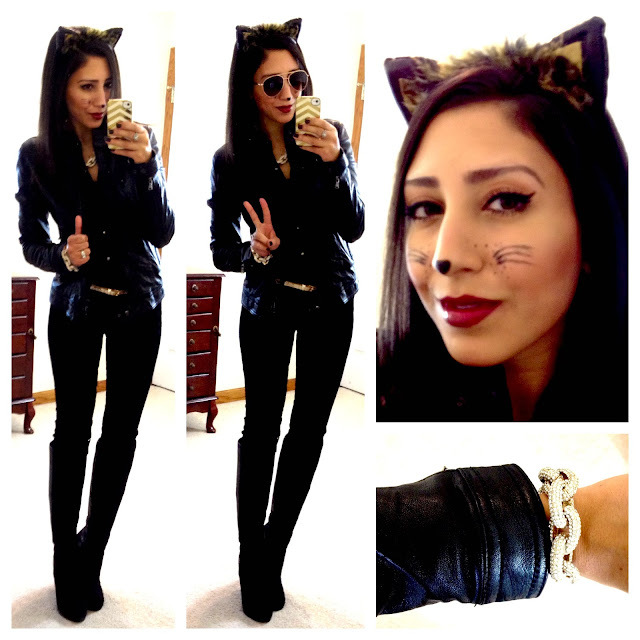 So, at the end of this post I've posted what I wore for Halloween! 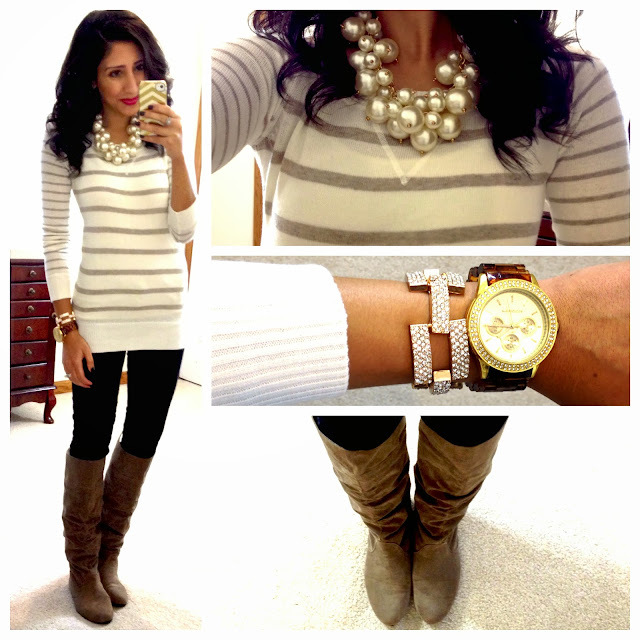 love the grayish colored boots! where are they from? These are all full of so much win! I love, love, love them! I love the leather jacket featured in your halloween outfit! 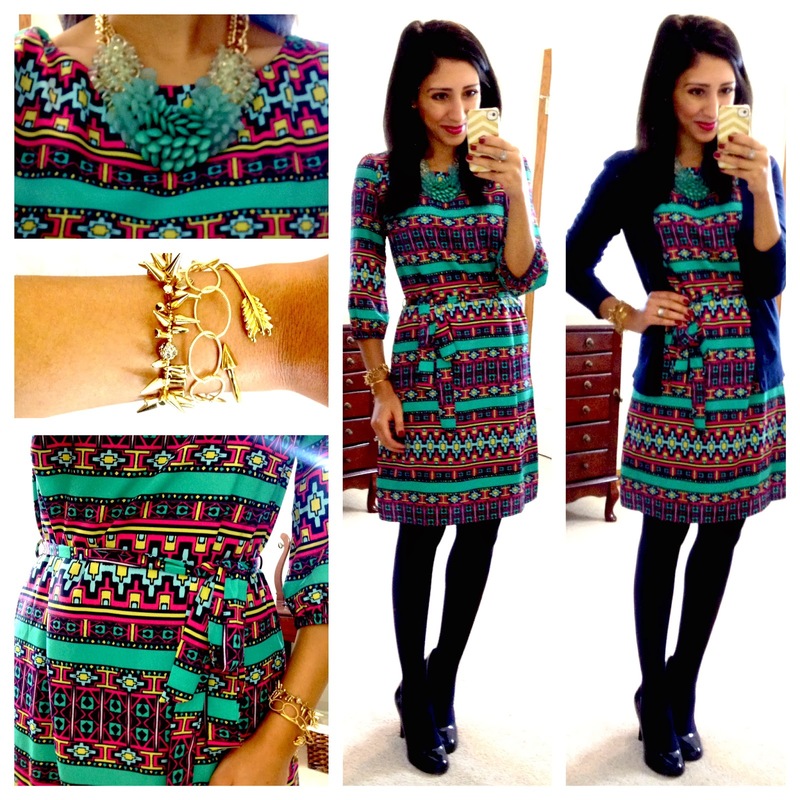 You have the cutest printed dresses! I love all of the printed dresses, so pretty! GAH!!! I LOVE your Halloween costume! so adorable. And I get in outfit moods too, I've had a lot of grey lately. I love the white stripe sweater and the leather pencil skirt outfits. I honestly wish I could raid your closet cause I am racking my brain as to what to wear to my 10 year HS reunion tomorrow. Any suggestions? It's at an Irish bar that does have a clubbish feel after 10.